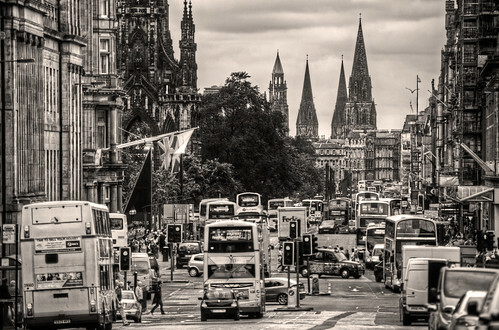 Inspired by a blog post I read tonight by Scott Liddell I thought I’d trawl through the archives and pick my favourite Edinburgh photographs of the year month by month. This was a strange shot to take. I was taken at the back door of the building of my then employer who 2 weeks earlier had gone bust. I was still working at the time for the Administrators and to be frank the days were long and lonely knocking about in a big building that once had over 100 people working in it and at this point had a dozen at most. 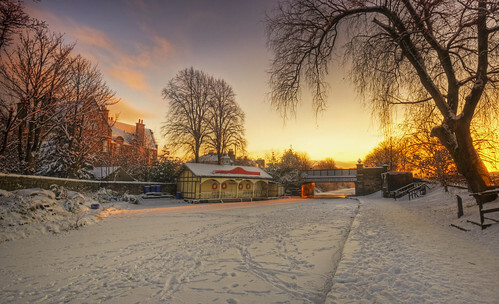 A multiple shot pano and hdr conversion of Spylaw Park in the Colinton area of Edinburgh. I didn’t do a lot of photography in February. Job uncertainness mixed with a really crap working day didn’t inspire me much, this was a standout though taken on a lunch break just up at the entrance to the Pentland Hills at Bonaly. I had gone up for a misty landscape but in the end the sun hit this scene so in went f2.8 on the Sigma 70-200mm and the shot of the month was had. March was a really lean month. I seemed to spend most of it playing with the Hipstamatic app on the iPhone. Life picked up though, got made redundant but had a new job already. Bonus! This was taken on the Radical Road on Arthurs Seat and was done by twisting the zoom on the Sigma 70-200mm as I took the shot. Weird effect and I’ve never tried it again since. I started taking lots of photos again in April, the mixture of better weather and finally job security had me out and about again. 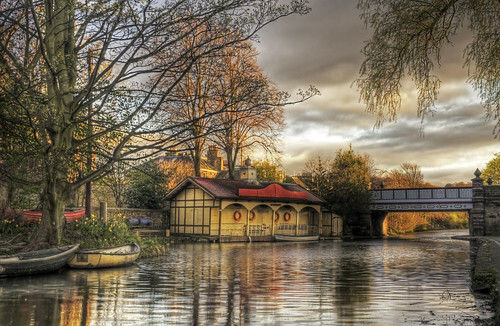 This is one of my favourite subjects, Ashley Boathouse on the banks of the Union Canal. Great spot to walk the dog and its only a mile or so from the house. Taken lots of pics of this this year. A hard month to pick this one as I had loads in May. 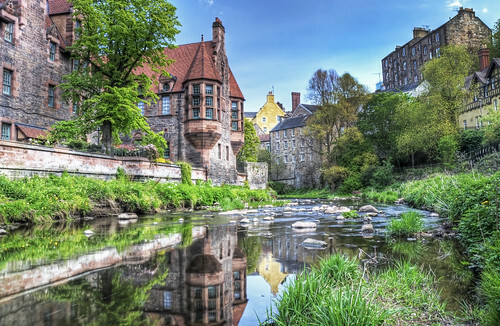 However, this shot of the Dean Village in central Edinburgh has served me well this year. 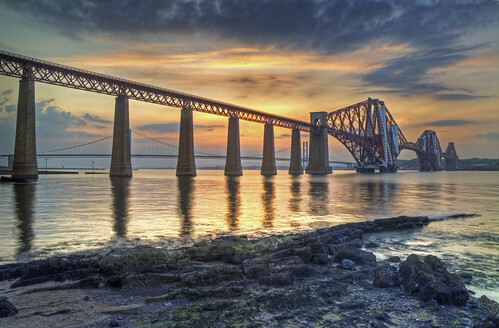 I thought I had overdone the colour in the HDR but it’s been rather popular and it’s going to be on greetings cards next year after I had a request to licence it. 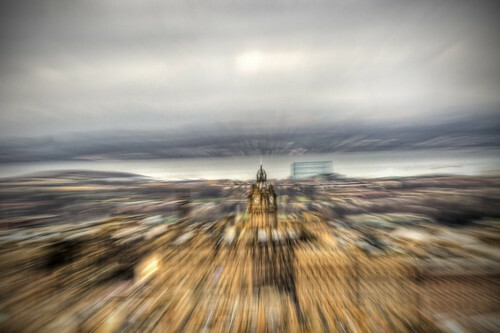 I liked this one for July, Edinburgh city centre at full flow. 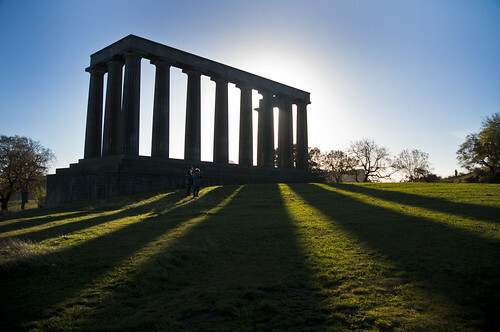 Taken from near the foot of Calton Hill, which if you have read this blog you’ll know if one of my favourite places in Edinburgh. 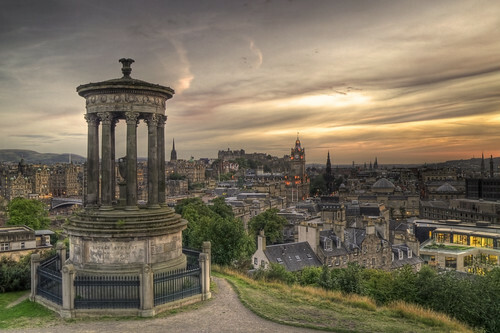 August in Edinburgh is all about the Festival. Now, I had to admit I was never a festivally person before I got the photography bug but now I firmly am. I was never away from the Royal Mile in August and got some great shots of the acts. 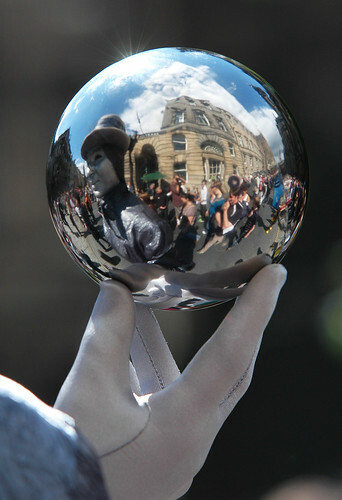 I liked this one though, a living statue held this ball and I think everyone took pics of the reflection; I got this one printed in the Metro newspaper though. September was a funny month, I turned 40, developed an inner ear condition called Labyrinthitis which is still causing me issues and I started to play about with proper filters and move away from HDR shots. This is one of the better examples of my early playing about. I had done it as an HDR the day earlier but hated it and went back next day with the sun in a better place and nailed it. Or at least I think I did! October I took a series of shots for Maxies Wine Bar and Bistro and done their website. This was one I went to get especially at night which came out near perfect. I had to pick this for November, it was the shot I went to get that day. I had seen something similar in snow but the sun was so strong this Saturday morning I dragged myself out of bed and headed down to Calton just in time to give it a go. 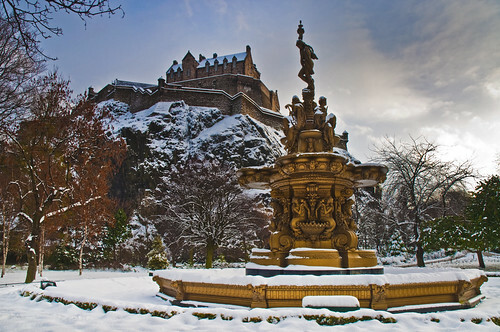 December has been a good month for photographs in Edinburgh, mainly thanks to the snow. But rather than pick an obvious classic Edinburgh in the snow shot I’m going for this one taken on the Cammo Estate on the western edge of the city. I liked this as I shot into the sun and tamed the flares! So there you go, my favourites of the year, hope you enjoyed them too! As a photographer I’m constantly seeking out new views and subject matters. 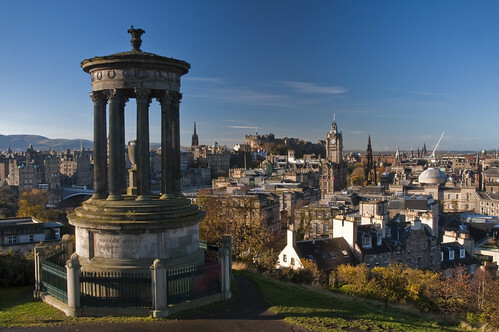 However, with Edinburgh being my main focus over time it can be difficult to find something new. What this led me to discover is that doing the same shot over and over again isn’t a bad thing. Familiarity with the subject and trying something a little different can often produce a vastly improved or very different shot. 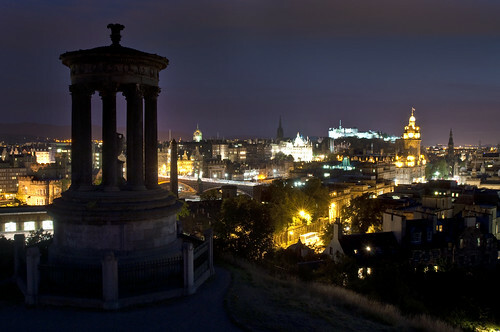 This is the scene I’ll use to demonstrate, the classic Edinburgh Calton Hill shot, taken from the side of the Observatory building with the Dugald Stewart Monument on the left and Edinburgh Castle and the Balmoral Clock behind. 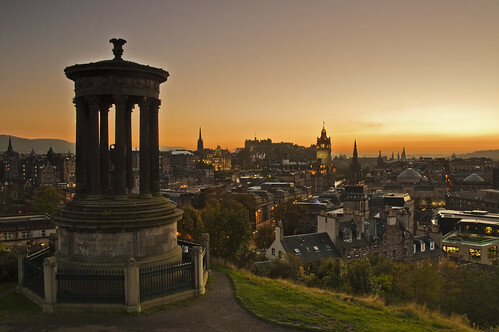 THE iconic Edinburgh view. This is a fairly typical shot, sunny day, nice blue sky. Just the Nikon D90 fitted with the Nikon 18-70mm lens, CPL and ND Soft Grads used. 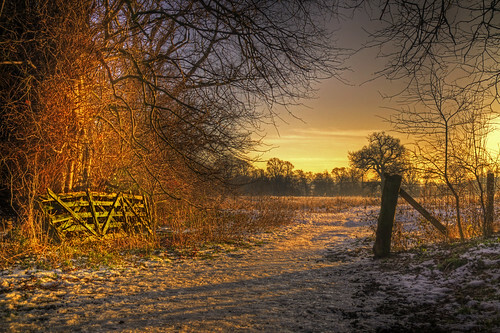 This first example is the same shot done at sunset in February (the sun only sets in this scene from later October to March). This one has had quite a lot of PP work done and is a 3 shot HDR image. Another sunset, this time at the end of August, the sun is setting out the frame but the HDR processing has brought out the sunset colours in the sky. Finally another sunset, this time in October and not given any HDR treatment, this is down to the use of ND soft grads. So, 3 shots, all from exactly the same spot but a very different result from each. Weather can also play a big part. 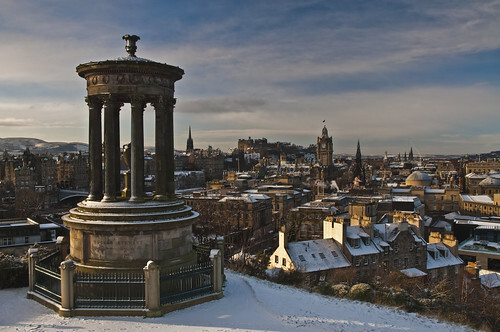 As soon as the snow hit Edinburgh in 2010 it was time to try the shot yet again, but with added snow! Again, same scene but a very different shot yet again. So we’ve seen how the processing of the shot, times and weather can all produce different results, how about using a different lens? Obviously for this particular scene using a big zoom would be pointless as you’d lose the foreground interest of the monument but this shot was taken with a Lensbaby 3G, a selective focus lens at around 55mm, too much to get the whole monument in but we can still get enough of it so you know it’s the same shot. 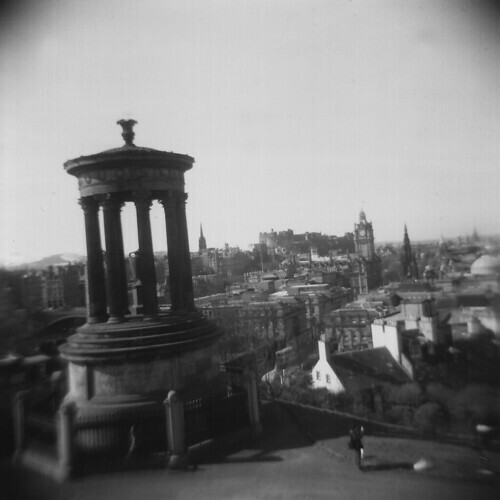 Or how about even a very different camera, this was taken with a cheap Holga on 120 format B&W film. So there you go, same scene, 8 times but 8 very different shots and I wont hesitate to take this one again if I think I can get something different again. 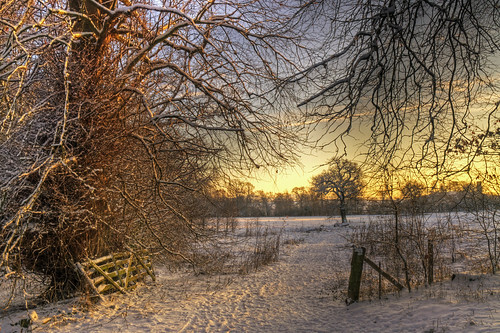 I’ll leave you with one other example, this was a shot I took just after Christmas 2009 on the Cammo Estate in Edinburgh with a fair bit of snow on the ground, initially I loved the shot, the HDR just worked perfectly but the fencepost on the right fouled the tree behind it and it bugged me every since I spotted it. However, with the snow on the ground again before Christmas 2010 I got a chance to redo the shot, which now I’m very happy with. Never be afraid to revisit places you’ve been and take the same shot, at the end of the day if you get enjoyment out of it take the same shot every day. 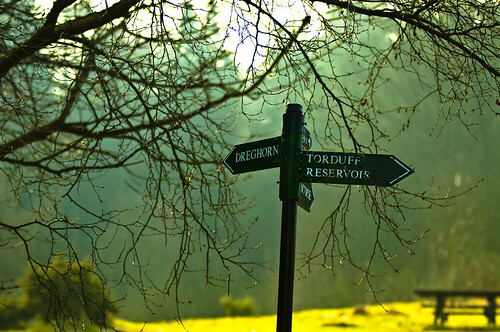 There’s always something different even if the same scene if you look for it! As you might have noticed if your from the UK we’ve had quite a bit of snow over the course of late November and December. 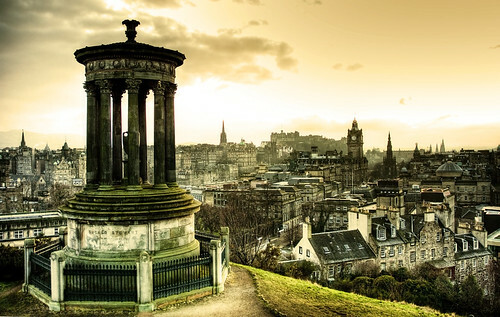 Edinburgh, for once, seems particularly badly hit. At one point we were under nearly 2ft of snow, at least on the outskirts, not something I can remember for at least 20 years in Edinburgh. So, with an extra special event like that, there can be only one thing to do, get out and photograph it of couse. 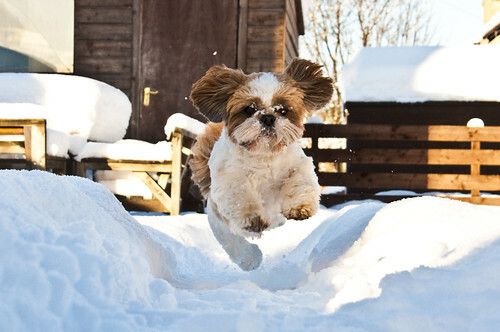 It could well be years till we see snowfall like this on the East coast of Scotland and it’s too good a chance to miss! 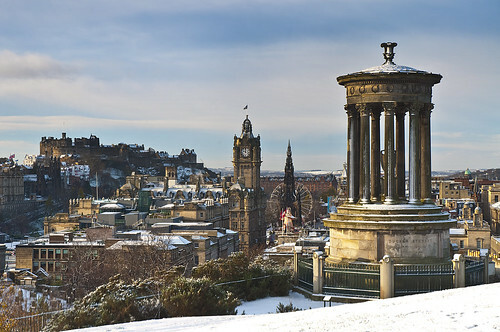 Now, this is how Edinburgh looks from Calton Hill in the snow. This was taken before the main deluge arrived but with a great blue skies it was a perfect opportunity. 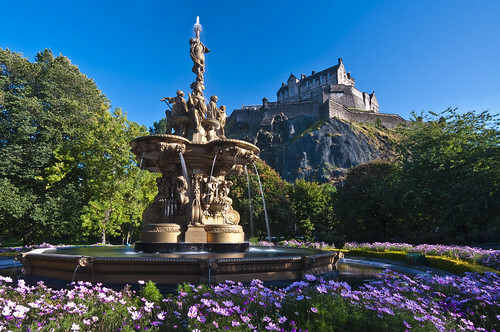 It took a few days to be able to get this one as Princes Street Gardens was shut as the council deemed it too dangerous due to ice and snow. 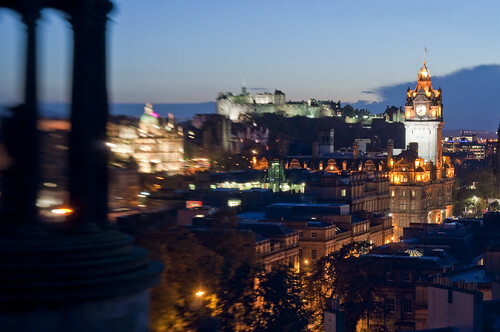 Ironic when you consider the state of the streets in Edinburgh at the same time! 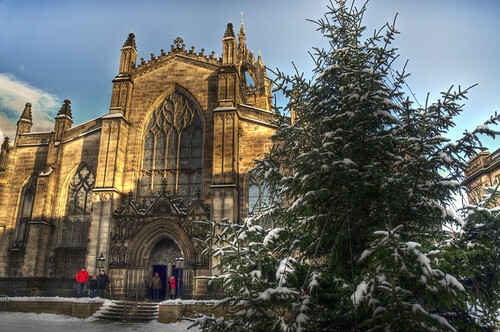 St Giles was an easier shot to get, and made all the better for the Christmas tree placed handily outside. 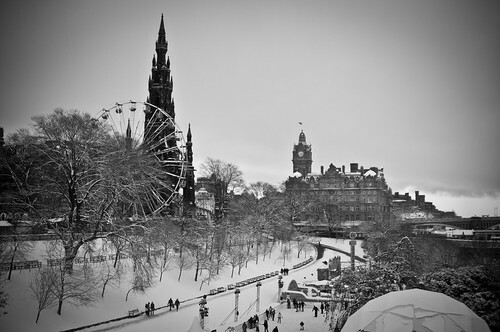 Edinburgh’s Winter Wonderland took on a whole new look with the snow, a proper Wonderland. This was taken after the second deluge hit the city, one big fall wasn’t enough, oh no, after a small thaw we got another heavy fall that’s still crippling parts of the city days later. 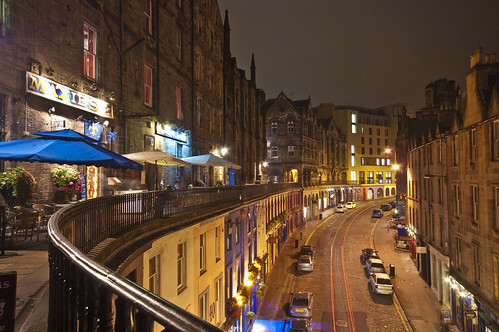 So, onto the Grassmarket. 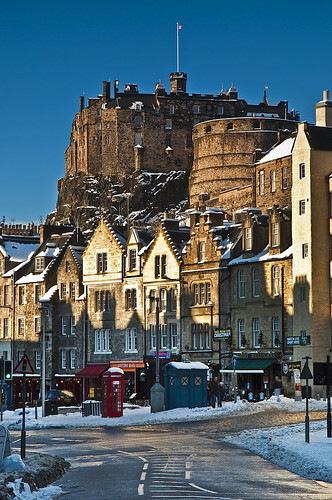 This was taken before the thaw from the first heavy snowfalls, the classic shot looking over the Grassmarket to the Castle with a totally clear blue sky. 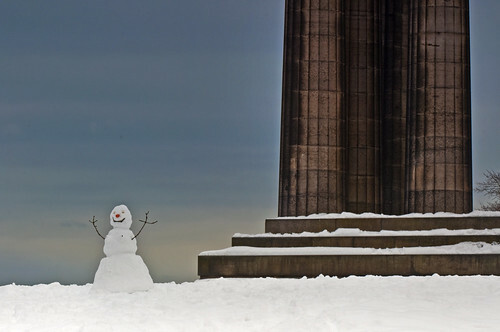 This snowman adorned most of the BBC News website snow stories for days, thankfully, he was still there when I got the Calton Hill. OK, so enough of the city centre, if anything, the outskirts of the city feels the effects of the snow even worse. The centre gets cleared quickly and it’s naturally warmer but on the edges of the city it generally gets dramatically worse. These 2 were from the Cammo Estate on the western edge of the city near Barnton. 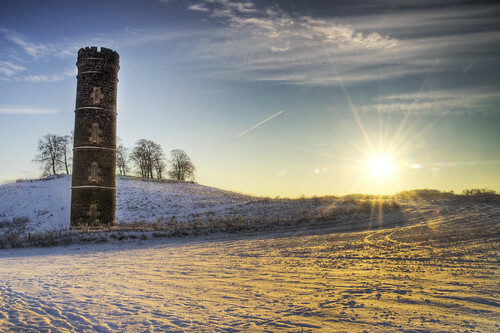 Several acres of woodland and meadow popular with dog walkers and most well known for its creepy water tower. And this is the Ashley Boathouse at Harrison Park on the western edge of the city about 2 miles from the city centre. As the snow draws on the appeal of it does fade rapidly. From looking forward to it, and marvelling at how it looks the reality of heavy snow hits home quickly but no matter how fed up we get of it, there’s always somebody that’s loving it.